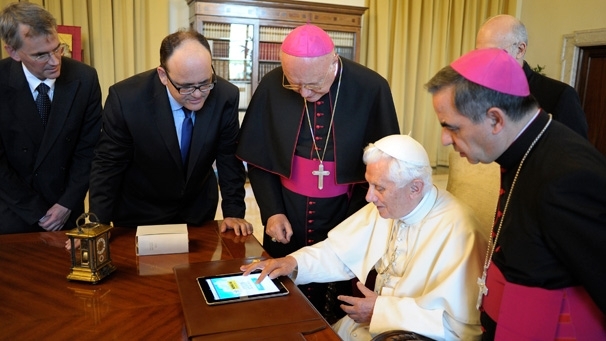 Connecting to the masses online, it has been confirmed that Pope Benedict, 85, will be signing up for his very own twitter account by the end of the year. To be officially launched by the Vatican, Benedict’s account will be used to share his personal opinions and church news. Encouraging followers to adopt a “Christian-style presence online”, his soon-to-be account is hoped to be as popular as some of the world’s top entertainers. “I don’t know if we can compete with them – it’s hard to compete with Lady Gaga – but it will be good to have something coming directly from the Pope, something spiritual thrown into the mix”, an official said. It has been speculated that Benedict will dictate tweets that will be posted on his behalf.